If you are one of the many following Pinoy Big Brother Unlimited, you should know about Finding Fifi. Fifi is an remote controlled nemo that has been missing from big brother's house. While everyone else is curious about Finding Fifi, I was preoccupied finding butanding. I have a never ending affair with whalesharks. I don't know what's up with these gentle giants, but they just simply amaze me. A few weeks ago, I spent four days out at sea, in Leyte in search of whaleshark, seen none but instead saw pilot whales, dolphins, seahorses, turtlessss.... (read my Leyte Dive Log). 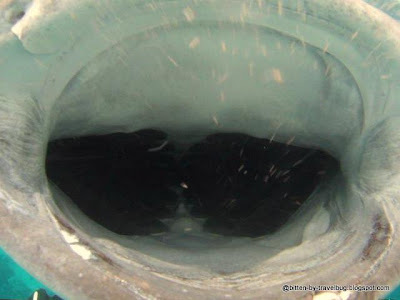 Sometime last year, we also ventured in Pescador Island, Moalboal, Cebu to see thresher sharks feasting on sardines, some divers in the group were too lucky to also chance upon a whaleshark and caught it on video. 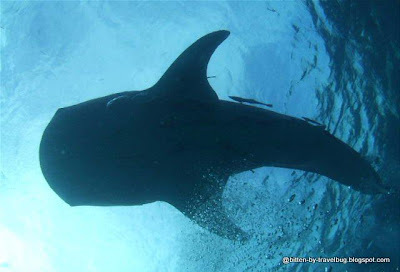 A few years ago, I had an awesome experience snorkling with whalesharks (butanding) in Donsol, Sorsogon. Took me three attempts to see eight, and I was able to compile an extensive guide to whaleshark interaction in Donsol, Sorsogon. 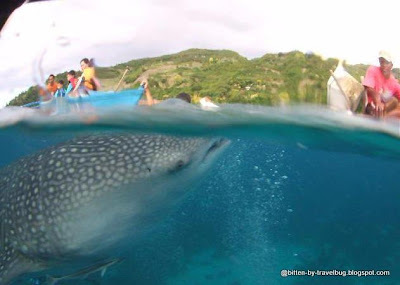 This time, news broke amongst the diver community that there have been whaleshark sightings in the south of Cebu. 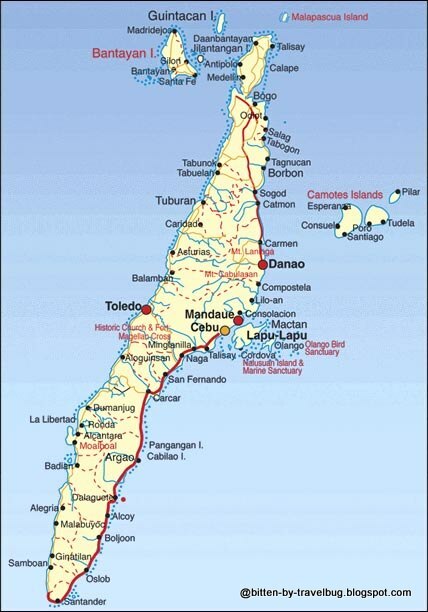 My dive peers went ahead immediately after our Leyte trip, while I was recuperating from an ear infection. The following weekend, I had to gather my family and some friends to join me on an early morning two and half hour drive down south of the city. We left at 4:30 in the morning, passed along General Maxilom Avenue and found party people still up and about while we are awake for a new day. Two hours later we arrived at our jump off point, just in time for the seven o' clock feeding time. The owner gave us a short briefing. We were told that these whalesharks are actually resident whalesharks and the local fishermen have been feeding them for the past two years. (But the fishermen says it's just for the past 6 months.) These spotters (local fishermen) look for it and pour food (as bait) so it follows them nearer to the shore. While us divers, swam out from the shore, non-divers were escorted to take the small banka (paddle boats). These banka are small and could hardly carry one passenger, no safetly facility like life vest is available. In a separate occasion, my friend's paddle boat sank. It took longer for me to gear up with shore entry than finding myself in the midst of a baby whaleshark. Just two minutes into the dive, the whaleshark was just there, unmidful of the banka and people around. On the surface, the fishermen were feeding it with some shrimps and krill - that kept it on the surface for a long time. The local fishermen allowed people to touch it. Kids aged 5, 7 and 8 were able to pet it from the banka without having to get wet. I dove around it for an hour, without needing to chase it. The waters are crystal clear, one can actually admire it from a distance. 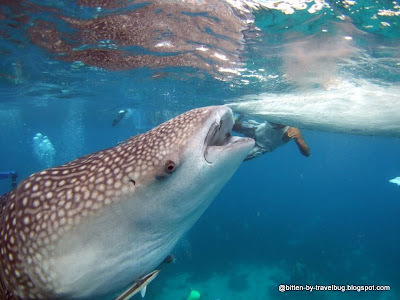 In previous days, there are have been sightings of up to three whalesharks, but this time, seas were kinda rough and makes it harder for the spotter to look for them. There is no existing ordinance to protect these gentle giants in the area. The locals are neither educated how to protect these. The fishermen themselves allow tourists to touch them. The locals are definitely not ready to accept the influx of tourists. I fear that doing this commercially at this time might harm these gentle giants. Nevertheless, it's a joy to know that they are here. Leave the city by 4am to get there before 7am. Take the public bus going to Oslob at the South Bus Terminal. Advise the driver to drop you off at the Barangay Hall in Tan-awan. It's about a 3-hour ride from the city. 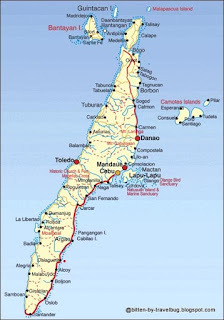 By private car, drive down south of Cebu, passing through South Reclamation Project, the towns of San Fernando, Carcar, Argao, Alcoy, Boljoon until you find yourself 125 kms from city center, 2 and half hours later. There is a marker by the road side. Look for a blue gate with the 'Whale Shark Watching' sign just beside the road. Since it has become popular, there are quite a number of people on the road inviting you entry to their respective resorts, thus you won't miss the area. You can contact Jr at +639235688401 to reserve a boat. As there are no decent place we can purchase food in the area, we brought our own food. Wow! You should sell your pictures! I will include this in my blogroll, nice read! Thanks! do interact responsibly and keep safe! we'll be doing this responsibly. :) i'll be tapping local environmental NGOs to take a look into this and hopefully LGUs as well.